Former interior minister Andres Anvelt's links to businessman Anton Ger as highlighted again in the media, a man who around a decade ago faced charges of large-scale money laundering, may not have resulted in any wrong-doing. However, the timing of his leaving the role, not to mention the cause, has resulted in plenty of speculation, not least in a piece in weekly Eesti Ekspress dated 23 January. Whilst health reasons were given at the time, the authors of the piece find it worth following a trail which goes all the way back to Mr Anvelt's career as a senior police figure. 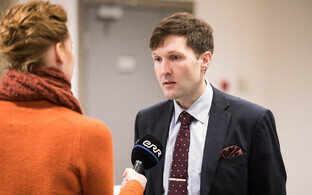 On the afternoon of 20 November 2018, Andres Anvelt (then SDE) made a surprise announcement to the media that he will be stepping down from the role of interior minister and will also not seek re-election to the Riigikogu in the March 2019 elections. At least it was a surprise to many people – apparently Prime Minister Jüri Ratas only found out about an hour and a half before the press conference announcing Mr Anvelt's decision, via text message. For one thing, Mr Anvelt ought to have been a shoo-in in the election, running at number one spot for the Social Democratic Party (SDE) in Ida-Viru County. The reason given is his health. "I've had a major wake up call these past few days," Mr Anvelt explained. "I owe it to my loved ones not to ignore this and to keep going until something very serious happens." Mr Anvelt had relatively recently become a grandfather. 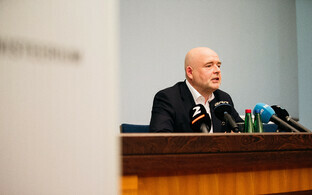 Doubts cast earlier in the year by members of opposition Conservative People's Party of Estonia (EKRE) surrounding Mr Anvelt's citizenship only served to concentrate Mr Anvelt's mind on where his priorities should lie (he was later confirmed, by his own ministry, which deals with such issues, as an Estonian citizen by birth). However, doubts surrounding health being the underlying cause, even if it might have been the formal cause, abound. Mr Anvelt's departure coincides with the first serious split in Jüri Ratas' cabinet, on the issue of the UN Global Compact on Migration (SDE are in support of the compact, coalition partner Isamaa/Pro Patria, firmly against). Mr Anvelt did also refer to Pro Patrias as being EKRE's stooge-in-office, a few days before his resignation. The timing could have been better for SDE leader Jevgeni Ossinovski, who needs to have to find a new interior minister as much as a slap in the face. However, this abandoning of ship at such a critical time ought only to happen in the case of, say, imminent surgery or some other immediate medical problem, it is thought. However, when asked at the press conference what he will do next, Mr Anvelt simply says he will work at a somewhat calmer pace, and get some rest. 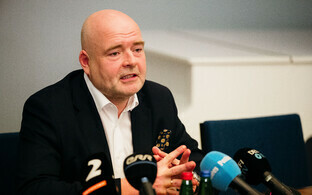 One cynic was Kalle Laanet (Reform) who said that: ''His quitting wasn't related to health – you could see that from his body language and smiles, at the press conference''. 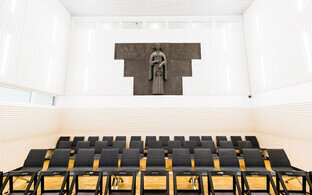 Moreover, there is a precedent for those not in the finest of form to continue at the Riigikogu at least – would Mr Anvelt not simply return here once his successor (Katri Raik) was installed? After all, Rein Ratas, father of the prime minister, did just that whilst suffering health problems, only recently stepping down from parliament. Is ill health the real reason? However, Mr Anvelt knocks a parliamentary seat back too, being replaced there by Barbi-Jenny Pilvre-Storgard, formerly a cultural editor at Eesti Ekspress. Heightening suspicions is the fact that Mr Anvelt plans to leave SDE altogether, a couple of weeks later, on 10 December. Is it something about SDE which is injurious to people's health? Granted, another SDE former minister, Urve Palo, quit both ministry (entrepreneurship) and party, in late summer, but these were for reasons of conscience, which strikes a cord with people. Ms Palo in any case remained at the Riigikogu as an independent (opting to vote with SDE in parliamentary votes). The precedent of Edgar Savisaar, whose on-off trial on corruption at all three tiers of the Estonian court system was continually, and now indefinitely, halted due to health issues, is hardly likely to instill much confidence either. To confound things further, Mr Anvelt had had something of a reputation of being a bit of an action man. Indeed he appeared on Russian-language magazine show Kofe+ in May, where he gave the host the run-down on his exercise routine. He is apparently a regular sight jogging around the byways of Muraste, the well-heeled commuter village to the west of Tallinn where Mr Anvelt lives. In September, he runs the Tallinn 10km in a time of 1 hour 11 minutes, not bad for a nearly-50-year-old, and a few days later partakes in a contest organised by the Rescue Board, reaching the 22nd floor of the Viru Hotel whilst laden down with 20kg of equipment. Was health the sole reason then? According to one PR maxim, it's best to step down ''when the sh*t hits the fan'' for the good of the party, even before anything is proven. 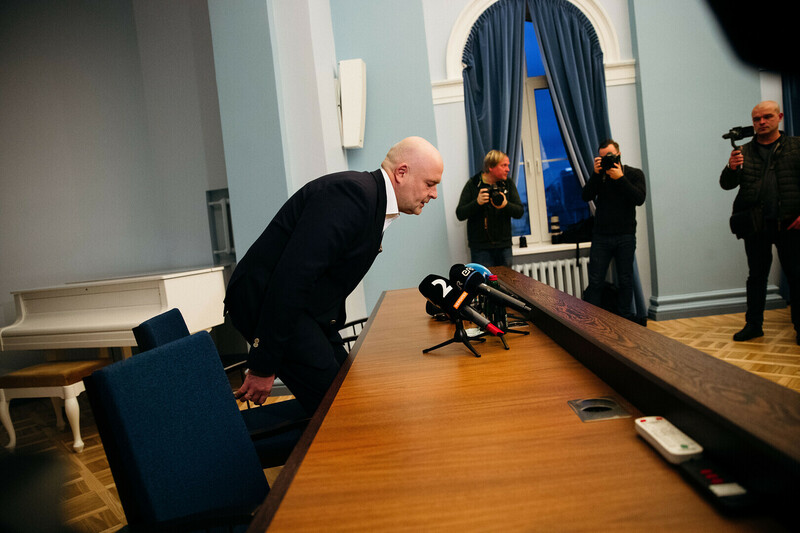 This happened to a former party-mate, Kajar Lember, who quit the party the moment he was accused of corruption issues, three years before the Anvelt saga. Still, the resignation was a surprise to many people who know Mr Anvelt – people who would be likely to know of serious health issues which would prompt the move. Another factor, is Mr Anvelt's supposed cosy relationship with John Barleycorn, in other words, he, like many others, is a little fond of the gargle and has been known to take naps sometimes as a result. He is spotted, for instance, in buoyant form at the 50th birthday party of prominent Reform Party donor Märt Vooglaiu, or at the annual police ball, where he was in a ''great party mood'' by Pro Patria politician and former Internal Security Services (ISS) chief Raivo Aeg. But these are hardly even small sins. This is not a #MeToo moment, and in a Europe where the antics of Jean Claude-Juncker feature prominently, the stories are fairly unremarkable. Another question is of not getting the full picture on his health. Mr Anvelt may look in fine form to outsiders, but even top athletes can fall foul of health issues, even fatally, at the peak of their prowess and despite regular medical checks [footballer Fabrice Muamba, snowboarder Ellie Soutter, cyclist Tom Simpson, plus of course martial artist Bruce Lee are all examples, both recent and historical, of this phenomenon – ed.]. Mr Anvelt has actually been dogged with health problems – in 2011 he had a suspected heart attack, and only in April 2018 he suffered a bout of pneumonia and was hospitalised. "He said at some point in the summer that he would have to step down," Jevgeni Ossinovksi says now. "The doctor told him that if he wanted to live, he had to leave work." In fact if anything, sports seemed to help him relieve tension, noticing a positive correlation between job stress and blood pressure; on the day of his resignation he had been to the doctor, according to SDE communications manager Andri Maimets. Some have argued that Mr Anvelt's political career always had a time limit, given what he was doing before it started, ie. climbing the ranks of the police force. During a period which predates Estonian independence, he joined the Militia, the Soviet police force, in 1989. Much of his subsequent career experience in the free-wheeling days of Estonia immediately after independence forms the basis the movie Punane Elavhõbe (''Red Mercury''), based on his novel of the same name and starring actor Märt Avandi in the semi-autobigraphical role. Now we come to the lynchpin personality in the story, Anton Ger. Mr Ger, unlike Mr Anvelt, is a fairly low key figure. A google image search yields just a few photos of a somewhat baroque-looking man, clad incongruously in either a tracksuit or a police uniform (in fact Mr Anvelt's uniform, of which more later). Mr Ger stood on charges of money laundering, around 10 years ago, but was cleared. Had he been convicted, it would make him the biggest individual money launderer (one billion Kroons, or €64 million) in Estonian history. His companies, Ateka Resource and Instance, were involved in 2009 in exchanging sums received from foreign companies into bank accounts in euros or dollars, money which is of Russian origin. The amounts are so large that Ateka was using an armoured car to transport the funds. Perhaps unsurprisingly, his activities drew the attention of the police, who were listening in. ''What does our company do, do you know?'' Mr Ger's business partner Andrus Koch asks a newly-hired female Ateka employee. ''I can more or less guess,'' she says. 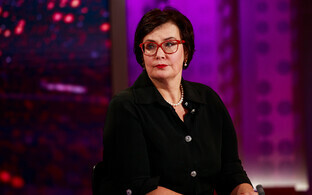 ''The point is, we aren't involved in money laundering as it might look at first glance. We work like a bank,'' Mr Koch replies, before going on to inform her of entanglements with the police Financial Intelligence Unit (FUI), who might contact her, ie. the new employee, too. ''The most important thing is that you don't say that I recruited you and pay your wages, even more importantly don't say the company does either,'' Mr Koch continues. The woman in question was reportedly made nominal ''owner'' of an offshore company connected with the two men, and was responsible for day-to-day signing of documents, bank transactions etc. The issue of money laundering is a particularly sensitive one in Estonia at the time of writing, as the Danske bank case, which came to fully into the public eye through the course of last year, is still unfolding as new aspects to it appear in various countries. Nevertheless, Instance, Mr Ger's firm, is found to be involved with money flows here too, something which emerges after the prosecutor's office in Estonia receives a formal request for legal assistance in the matter from the Russian Federation. Mr Ger is cleared of money laundering charges by the Supreme Court in 2013, due to lack of proof on the part of the prosecutor's office. The damage is sufficient to his reputation, however, to prevent him getting an Estonian Financial Supervisory Agency (FSA) license to operate as a financial agent. Mr Ger says he doesn't remember much about the activities in question given that the sums involved were quite small; business register records show his companies to have turnover in the billions (of Kroons) in 2008, however. And here we join the dots back to Mr Anvelt. According to a memo appended to a letter from then-FUI head Aivar Orukask, though Mr Orukask was not the author of the memo, he says, is information claiming Mr Ger secretly donated to SDE, and in return, Mr Anvelt helped him in his battle with the financial intelligence unit. Mr Anvelt was interview by Eesti Ekspress in 2013 on the matter. Mr Ger had apparently come to Mr Anvelt for advice, which was forthcoming, namely that he should approach the ISS, following his contratemps with the FUI. ''Is Ger a SDE donor?'' Mr Anvelt was asked next. ''No, he is not,'' came the reply. 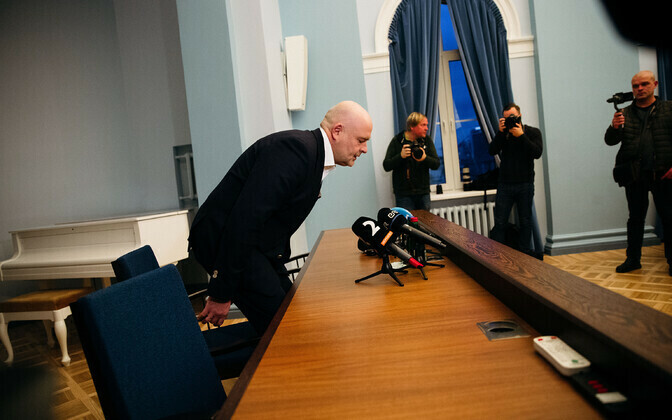 Fast forward to the day before Mr Anvelt's resignation in November 2018, and at a closed-door meeting of the Riigikogu's, Aivar Orukask is present. Whilst the minutes of the meeting are scanty, Mr Orukask manages to speak for an hour and a half, according to sources, principally on the close relationship between Mr Anvelt and Mr Ger. The men aren't apparently just on nodding terms; a photo entitled ''Anton Ger on holiday, summer 2009'' emerges, the police uniformed photo of our story. The location is Mr Anvelt's Muraste home. On the one hand, Mr Anvelt was on a hiatus period at that time, no longer a top policeman and not yet a top politician, and was in fact working as advisor to then Estonian Defence Forces (EDF) chief Ants Laaneots. On the other, for a minister and former police chief to have a matey snap with a man once suspected of large-scale money laundering is a little delicate. ''I have spoken about the photo with the head of our (Centre's) parliamentary party group, Kersti Sarapuuga'', said Jaanus Karilaid (Centre), Chair of the Legal Affairs Committee, ''but she has not spoken with Mr Ratas about it''. Mr Karilaid had reportedly also discussed the photo with ISS chief Arnold Sinisalu, but says he cannot comment on that. Friendly contact between the two men continued. ''Welcome to sunny Spain!'' Mr Anvelt messaged Anton Ger in June 2010, presumably the latter was there. ''How's it going with the prosecutor's office and their decision on your case?'' he continued. "Hello. There's been a mess in the office today. But then [then ISS deputy director] Eerik [Heldna] called me. And everything became clear," answered Mr Ger. "I hope in a positive way?" replied Mr Anvelt. ''We'll meet tomorrow, then I'll know for sure,'' Mr Ger said, to which Mr Anvelt replied ''Ok''. Christmas and New Year's greetings were reportedly also exchanged between the pair, with Mr Ger referring to Mr Anvelt and his wife Kärt as ''dear friends''. Mr Anvelt for his part apparently does not concur, saying that whilst Mr Ger had sat at his home a couple of times while they drank beer and chatted, that was as far as it went. The police jacket was just an old one which lots of people have tried on, he said. The photo itself was picked up from Mr Ger's mobile by the police when he was under investigation, and was dated late June 2009. As noted, this was before Mr Anvelt was made a minister, and communication between the two men by Mr Ger's admission diminished to seasonal greetings once a year, once that had happened. Advice which Mr Anvelt gave Mr Ger during the latter's travails included his suggestion that Ger approach the ISS; Mr Anvelt was also in touch with Eerik Heldna during that time, according to the Eesti Ekspress piece. Mr Anvelt later discovered that he had been under police surveillance too, during that time, being notified of this after the case against Mr Ger was dropped. Andres Anvelt's take on the claims against him is still that it is revenge for his involvement in the sending down of two crooks, Huber Hirv and Pavel Gammer, who have been behind bars for about a year now for involvement with organised crime. 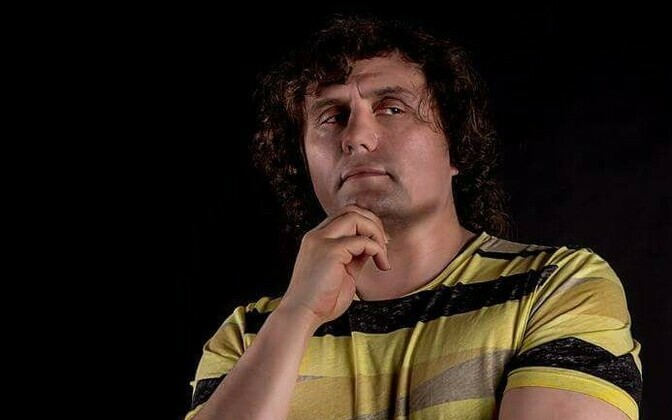 There are stories abounding that Mr Hirv was summoned last October in an investigation in Mr Anvelt, something the prosecutor's office neither confirms nor denies. 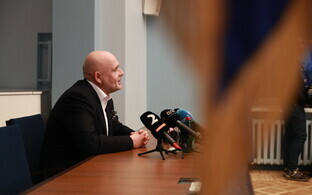 There are, according to the Eesti Ekspress article, many more versions of events which led to Mr Anvelt's departure from politics, but they cannot be corroborated so will not appear in print. Mr Anvelt had, he says, first tried to resign in early June, just a couple of weeks after his Kofe+ aerobics appearance, and took some time off for rest and recuperation then. However, he had already known that he was through with politics for some time, he says. ''Everything has its shelf life. I can honestly say that politics is not an area which grabs me all that much; at any rate it can start to get annoying. I don't like knocking down others, defaming them, or engaging in hollow taunts,'' he said. All this may well make sense, but it still does not explain his sudden departure from politics, the Eesti Ekspress piece concludes: Some things remain unexplained, and sometimes people fail to even justify things to themselves, let alone others. The original article by Marii Karell, Siim Männik and Sulev Vedler, in Estonian, is here.